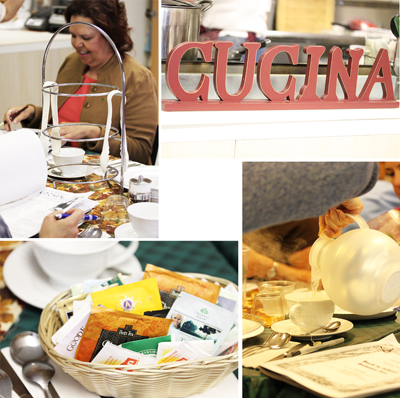 The theme for the Saturday Tea class this week at Grace-Marie’s Kitchen at Bristol Farms in Manhattan Beach was Back to School Autumn Tea. This week the menu was End of Summer Zucchini Soup, Smoked Salmon Tomato Cups, Apple and Cheddar Bread, Caramelized Onion and Brie Croissants, Autumn Harvest Brandy Pear Cake and Autumn Berry Tapioca Parfaits. This is Part Three with the last two recipes from that class. I wanted to post about all of the recipes because all of them were wonderful. I have to tell you, I love Bristol Farms Market. And no, they’re not paying me to say so. The store is five minutes from my house and I have been shopping there for about 20 years. 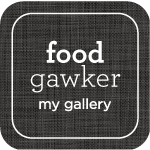 They have all the items I can’t find anywhere else, for instance, within recent memory, Red Pepper Jelly, Sriracha, lamb shanks, Harissa, Red Current Jelly with Port, jarred chestnuts, apple smoked bacon and Parmigiano-Reggiano. They have the most marvelous cheeses. And if they don’t have what you need, they will get it for you. Recently I wanted to have some Mexican achiote paste, so I talked to the grocery dept manager, and he said he would get it and call me when it arrived. He has a little notebook in his pocket for this purpose. And sure enough, a couple of weeks later, my phone rang. Don’t you just love it when people follow up? The End of summer Zucchini Soup started out with diced onion, chopped garlic, diced zucchini and chicken stock, with Italian Dried Herbs. This smelled so good when it was simmering away on the stove. I took lots of photos of it so I could get close and let the aroma waft into my nose. 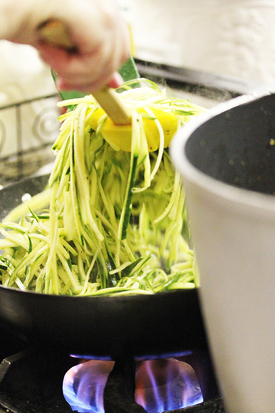 While the soup was bubbling away, more zucchini was sliced into little thin strips and sautéed for the garnish. Grace-Marie sliced the zucchini into ¼-inch slices lengthwise, then turned the stack over flat and sliced them into ¼-inch lengthwise strips. These were sautéed in olive oil and butter until just tender. This is an Afternoon Tea and the different treats are put on trays in the metal stands. There is every kind of tea you can think of in the baskets – I had Chamomile – and boiling water is poured out of thermos tea pots. The tea was really good with the Apple and Cheddar Bread. Next Grace-Marie prepared the Smoked Salmon Tomato Cups. The filling was a tasty mixture of cream cheese, mayonnaise, Thai sweet chili sauce, horseradish, smoked salmon, cucumber and sundried tomatoes. The Roma tomatoes were cut in half, the seeds scooped out and the filling spooned in. This filling is very adaptable and I think you could substitute the salmon with chicken, ham, shrimp, crab, cooked egg or leftover fish from last might’s dinner. Add your favorite herbs. Be creative. 1. Warm the oil and butter in a large soup pot over a medium flame. Stir in the onions, garlic, herb mix, salt and pepper. Cook, stirring, until the vegetables are slightly tender (5 minutes). 2. 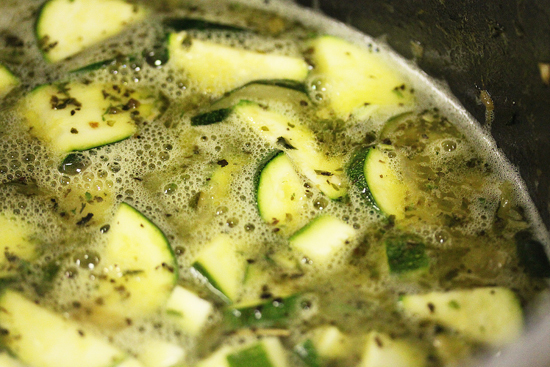 Add the zucchini and sauté for another minute, then pour in stock (just enough to cover the mixture by 2 inches). Bring to a boil, reduce to a simmer and cook until the vegetables are fork tender (15 minutes). 3. Puree the soup and basil (in batches) using a blender. Return to soup pot. Stir in cream (add less if you prefer) and reheat just until warmed through. 1. Warm the oil and butter in a skillet over medium flame. Add zucchini and sauté until just tender. Season with salt and pepper. Ladle warm soup into bowls and scatter garnish over top. 1. Using an electric mixer or food processor, blend cream cheese, mayonnaise, chili sauce, horseradish and salt. 2. By hand, fold in the salmon, cucumbers, sundried tomatoes, chives and dill. Cover and refrigerate until ready to use. 1. 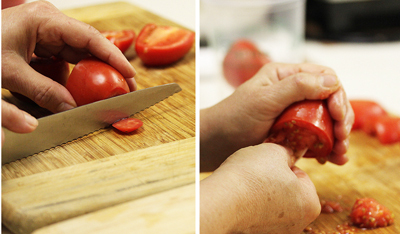 Cut the tomatoes in half, crosswise or lengthwise. Slice a tiny portion off each bottom so that the tomatoes will sit upright onto a serving platter. 2. Remove seeds and juice. Arrange top side down onto paper toweling to drain out any excess liquid (15 minutes). 3. Generously stuff each tomato with the filling, then arrange on serving platter. Sprinkle any of leftover herbs used in the recipe over the platter and serve. The soup and tomato cups look and sound most delicious. 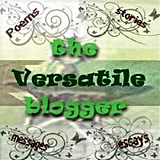 I just stumbled upon your wonderful blog – love your photos and presentation! 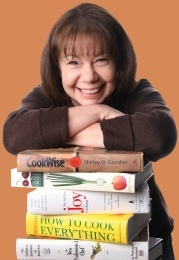 I’m looking forward to reading more about your culinary endeavors. 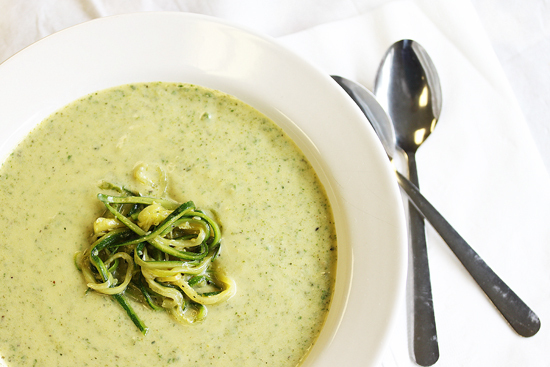 What a lovely soup and great use for all the zucchini! The smoked tomato cups sound really tasty! Hey Lynne! A “tea class” sounds like a really fun idea. I’m bummed I wasn’t there. What a rich, creamy soup! It’s a great way to sneak veggies into the kids! More fabulous ways to use up zucchini! Beautiful thank you! 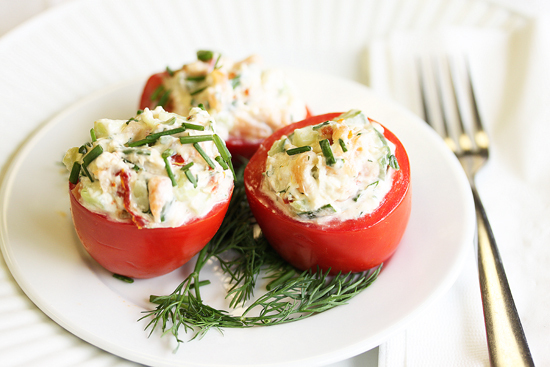 Those smoked tomato cups sound amazing too, what a great combo for a meal. Beautiful ingredients and presentation! I love how pretty those zucchini threads look floating on top of the soup. Genius! The tomato cups would be a lovely way to highlight the end of the summer season. They would be perfect for our party. Thanks for sharing with us! Lynne, LOVE that soup! And your photos are just gorgeous! So glad I was introduced to you and your blog through Camp. 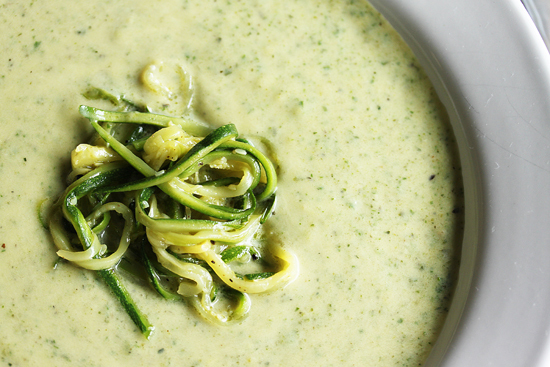 I make a similar zucchini soup – will have to try the zucchini ribbons as a garnish! The tomato cups sound fabulous and will definitely go on my “appetizers to try” – I am always looking for new ones to add to my repertoire! Thoroughly enjoyed this series and loved the photos!! This post is kinda sorta definitely making me want to rewind a month so that I can make this soup over and over and over again! It just looks so creamy and delicious. Really gorgeous. I wish I had classes like this near me! After being COMPLETELY over holiday eating my husband requested cream of zucchini soup. A bit of googling, a bit of TasteSpotting and I found your recipe and it was fabulous. Amazingly fabulous. Just as good at the end of December as it is at the height of Summer. Thank you for sharing with us.